Have you been looking at my (or other RD's) websites and brochures and not sure what to expect? Nutrition counseling is a very individualized service just like with traditional psychotherapy. Some dietitians create specific meal plans, analyze intake with nutrient analysis software, help you manage diabetes medications, learn what food do in your body, and so much more. Make sure whoever you choose to go to for nutrition services has a "R.D." or "R.D.N." credential. This is a indicator of education level and national standards of practice. As with any profession, we hope everyone is ethical in their business practice, but trust your gut, and never be afraid of getting 2nd opinions. What do I do, specifically? "The primary goal of nutrition counseling is behavior change." Herrin & Larkin, Nutrition Counseling in the Treatment of Eating Disorders, 2013. Here is a list of services that one may experience when working with me. -Diet "check-ups": I go over your food journals to see what you are eating on a regular basis and what is working for you or areas that need improvement. 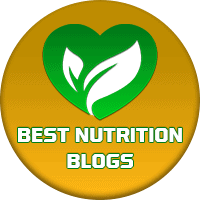 -Medical Nutrition Therapy (or "MNT): This is what separates dietitians from "nutritionists" "health coaches" and "health educators." Medical nutrition therapy is something only RDs are legally allowed to do (and medical doctors, but they don't have our training) going over complex medical diagnoses that have nutrition related care and intervention. This goes beyond "eat vegetables" that nutritionists can cover. This is also why RDs are only licensed in specific states like MDs are. -Nutrition education: What does food do in the human body? This is the R.D. 's expertise. We study anatomy, physiology, biochemistry, metabolism, nutrition for specif diseases, and many other sciences involving the human body and food. This is what I studied in college for 7 years, plus a year of internship, and continue to learn about. I love helping people understand how proteins, carbohydrates, fats, and micro-nutrients interact in the body and keep it healthy. -Individual needs: How many calories do you need? How does your exercise affect how much you need to eat? What proportion of carbohydrates/ protein/ fat do you need? What about supplements? -Have an eating disorder? : This is my specialty area, figuring out what someone needs to be eating to recover. By working on slowly changing unhealthy habits, I strive to create a safe space using positive body-image talk, intuitive eating principles, and a mindset of health at every size, while educating on what is occurring in the body and mind while in the disordered behavioral mind-set. -Contact with your other medical professionals: If allowed, I will work with your other health professionals to create a united team approach for your best health. -Go over lab values: Bring lab results from your doctor and we can look at what might be going on and if there is nutritional deficiencies or medical dietary interventions (note: only RD/RDNs are qualified to make medical diet plans - "MNT"). -Meal outings/ snack challenges: Optional, but helpful for normalizing eating socially for those with restrictive eating. -Referrals: To appropriate therapists, doctors, websites, apps, books, etc. -Exercise planning: Though I don't actively train anymore, I use my experience as a personal trainer, fitness instructor, distance runner, and dancer to help you come up with an exercise plan, check form on moves, discern how much exercise you should be doing, and optimal nutrition for your sport. -Weighing: Need to keep up with weights for your doctor or therapist? Need someone to keep track of weights (blind weighing) or keep you accountable? -Confidentiality: I use secure electronic medical records to keep your information confidential, and as with therapy, nothing you say will be shared unless you are going to harm others or yourself, or you give a release of information. -Contact with family members: If under 18, or given release; I give parents piece-of-mind when students are away at college by giving updates on progress and health. -I have a good relationship with local therapists, Cal Poly's Health Center, and other practitioners. -Eating disorder training: I am working with a credentialed supervisor to get my "certified eating disorder registered dietitian" credential (iaedp.com), and continue to take opportunities for continuing education. -Constant contact: I am available between sessions by e-mail/text to keep you on the path to success. -Counseling skills: Motivational Interviewing, cognitive behavioral therapy, intuitive eating, and behavioral interventions. My sister wants to gain weight because she thinks too thin. It was explained here that when planning to gain weight, she should consult experts with the right nutrition education. Furthermore, it's recommended to hire professionals when considering nutrition counseling.